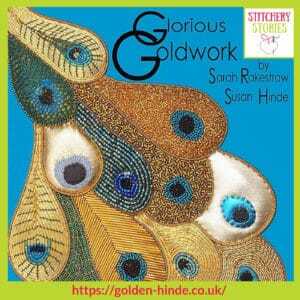 Today on the Stitchery Stories textile art and embroidery podcast, Sarah Rakestraw shares her story in fabric and gold threads! 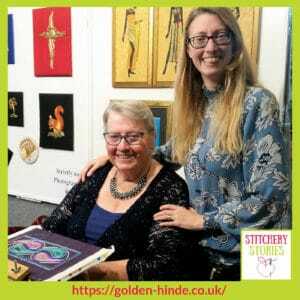 She is the founder and owner of Golden Hinde Goldwork, a specialist embroidery brand selling goldwork embroidery supplies, kits and also offering classes. 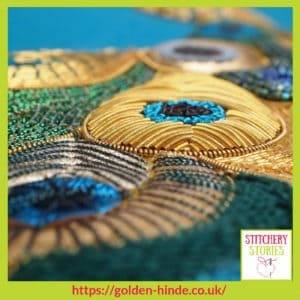 Sarah shares how she spotted an opportunity to grow her mum’s love of goldwork into a family business. She was training to be a chartered accountant at the time. 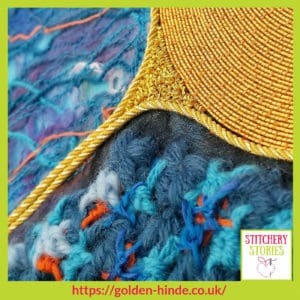 With her love of goldwork, and her head for business, and a lot of hard work, Golden Hinde Goldwork has flourished. 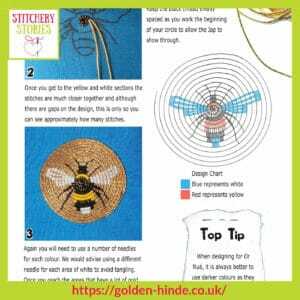 It doesn’t have to be worked in Gold! 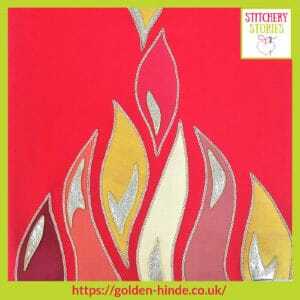 Couching & Beading… we can all do that can’t we?